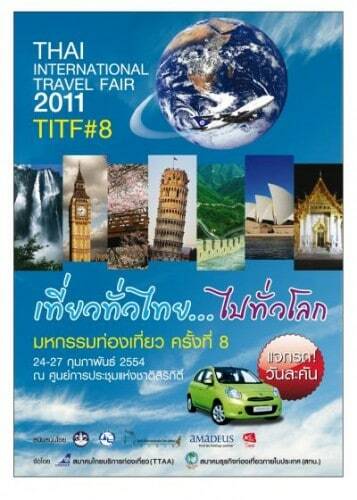 Thai International Travel Fair 2011 is a special event for all travel agents, airlines representative, and member of the National Tourism Organization (NTO) to promote their travel product and service. During the event throughout the Queen Sirikit National Convention Center Venue, more then 900,000 of interested travelers are expected to attend the Fair. This is a great opportunity for your company to improve its sales and visibility within the lucrative tourism market.